Anthony Grisanti is the President of GRZ Energy, a trading and execution firm focusing on a broad range of commodities, specializing in the energy market. Mr. Grisanti has more than 20 years experience in the industry. The native of Buffalo, New York, who began as a runner on the floor of the NYMEX, leads a firm that offers services to a diverse group of 40-50 top tier clients/accounts; from producers to hedge fund managers, to beginners who are just being apprised of the potential of trading energy futures. With the of Internet-based commodities trading, Mr. Grisanti’s roles include carrying out technical analysis, formulating and implementing trading strategies and execution models, monitoring intraday, daily, weekly and monthly charts, while managing a team of three brokers and 10 clerks. 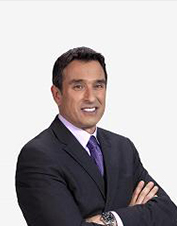 Mr. Grisanti is a frequent contributing commentator on CNBC, Bloomberg Television, BNN, Fox Business News and Nightly Business Report as related to the analysis of the energy/commodities markets and their impact on the economy and consumer. He currently resides in New York City.